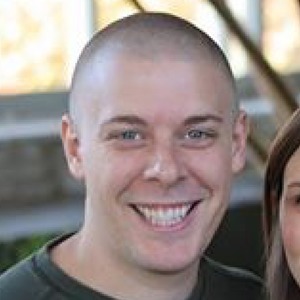 Chris Nelson is a Husband, Father, Youth Pastor, and Podcaster from Houston Texas. Chris Nelson has hosted 20 Episodes. What is Social Memory Theory? What assumptions do we have about history? Did people in the first century think about recording history in the same way that we do? Did the events in the Gospels happen exactly as described? How can we know with 100% certainty? Does it matter? Should that be our primary concern? To discuss these questions and more, the guys sit down with Dr. Chris Keith. Dr. Larry Hurtado: Is Jesus God? Is it too simple, or flippant to say that Jesus is God? What about the Trinity? Does the New Testament teach a distinction or a union between the Son and the Father? Does it teach both? How did the early church view the divinity of Christ? Can Christians stay unified despite different beliefs and interpretations? How did the early church pursue unity? To discuss these questions and more, the guys sit down with Dr. Larry Hurtado. What does the Bible have to say about women in ministry roles? What can we learn from the book of Ruth, and the creation of humanity as image bearers of God? How are both genders meant to work together in the Kingdom of God? To discuss these questions and more, the guys sit down with Carolyn Custis James. Should the events in the book of Jonah be taken as history? Did they really happen, or is it a parable? And are those even the right questions to be asking? How do we approach translating and interpreting Jonah, or any Old Testament book? To discuss these questions and more, the guys sit down with Dr. Robert Alter. Dr. Andrew Root: Can You Reconcile Faith and Science? How do you reconcile faith and science? Is that even a beneficial question? Should you look to the Bible for scientific information? Can you look to science to answer the big questions of life? To discuss these questions and more, the guys sit down with Dr. Andrew Root. Is the traditional view of Hell biblically sound? Is eternal bodily torment what Jesus meant by Hell? And if not, what does the Bible really say about the fate of the lost? To get a better grasp of these questions, the guys sit down with Chris Date of the Rethinking Hell podcast to have a Better Conversation on Hell. Once you're saved, are you always saved? No matter your behavior or beliefs afterward? Or does God take your salvation away if you don't continue to live a certain way? Or, if you "backslide" and renounce faith in Christ, were you never truly saved in the first place? In the second episode of season 2, the guys attempt to find a better, more helpful, and less controversial question than "Can you lose your salvation"? Check out Dr. Wood's new book, Between Two Trees! Episode 9: Am I Broken? As humans, are we inherently evil, wrong or sinful, or is there goodness, compassion, and mercy at our core? Should we focus on being made in God's image and on God calling us "very good" in Genesis 1, or focus on the sin and fall of man in Genesis 3? Join Dan, Chris, and Andrew as they strive to find a better question than "Am I Broken?" What do you picture when you think of God? An old man in the sky with a giant white beard? A Father looking down at His children? The person of Jesus? Where did these primarily male views of God come from and are they biblical? Join Chris, Andrew, Dan and special guest Barby Martinez, as they try to find a better question than Is God Male? Episode 7: When Will Jesus Return? Does the thought of being "Left Behind" cause you to curl into the fetal position in extreme anxiety? Are you just trying to passively endure this life so that you can be in your real home in Heaven? Join Andrew, Dan and Chris as they discuss why "When Will Jesus Return" may not be a helpful question, and if theres a better question we should be asking instead. BONUS - How Do We Disagree Well? We don't normally take time to ANSWER any of our Better Questions, but when the conversation goes there, and is this important, you make an exception. Join Andrew, Chris and Dan as they interview guest Titus Benton to try to find a better question than "Can Christian Disagree?" 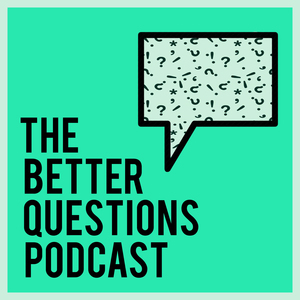 Join Dan and Andrew as they take common answers about The Bible and ask questions in response in the first "A & Q" style episode. Episode 4: Does God Answer Prayer? If God doesn't answer your prayer, does that mean you didn't have enough faith? Dan, Chris and Andrew discuss a more helpful question than "Does God Answer Prayer?"